I still love you hawky. Forever and ever. It's ok. I still love you. (Copy/pasta from IRC.) <gnosticJade> Rather bittersweet to see you go. Best of luck, hawkfalcon. DSH105, -_Husky_-, Acharige and 7 others like this. You made a great staff. It will be a shame to see you go. 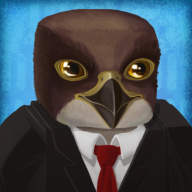 What's up with the new profile picture for all the bukkit dev staff? How do you get the creative ideas? You and @DSH105 make up an awesome plugin developer team. I think your best projects are EchoPet and HoloAPI. Keep up the good work! That's a awesome avatar. It's Amazing. Author of AutoBukkitServer, BukkitAlert, MCTag, and many others.